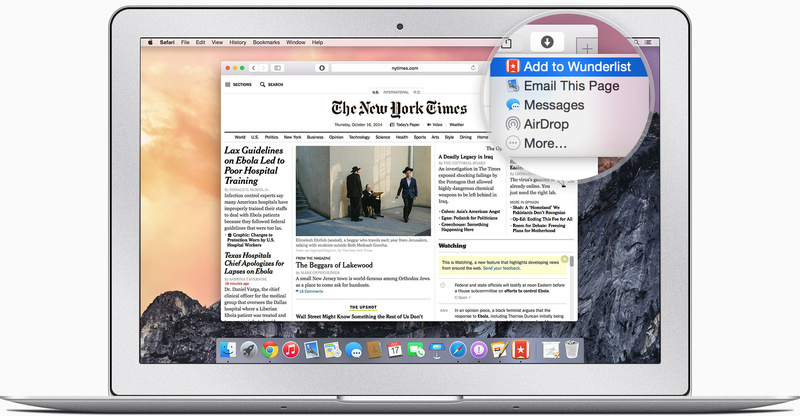 Wunderlist, an increasingly popular cross-platform to-do and task manager by German developer 6Wunderkinder, got updated both for iOS and OS X with cool new features. The iOS edition now includes support for 1Password signing and the ability to see your to-dos in iCal while fixing UI issues on iPad and more. 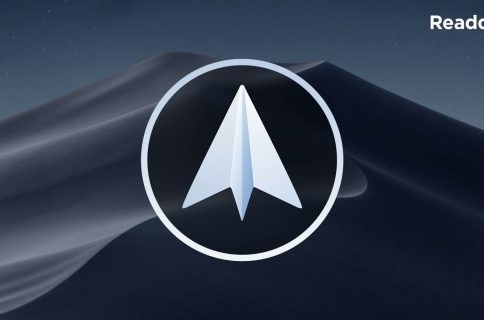 The Mac edition has received a substantial Yosemite-ready refresh adding a more productive Today widget in the Notification Center, interactive push alerts, a more powerful “Add to Wunderlist” feature along with the complete Handoff experience for seamless moving between devices and more. Fist up, let me just briefly list what’s new in Wunderlist 3.1.2 for the iPhone and iPad. Don’t like forgetting your passwords? We’ve added support for 1Password to make signing into Wunderlist easier and more secure. Once you’ve downloaded 1Password, just tap the icon when signing in. One of your most requested features is here in ‘beta’ form… You can now see your to-dos in iCal. Just head to the App Settings > Your Details and tap on the Calendar Feed URL. Currently the feed only syncs one way, but we’re already working on a bunch of improvements for the next update. Some of you were told us that signing in on your iPad caused some UI issues, so you’ll be happy to hear that everything’s been polished up to look spick and span again. There’s also a handful of other smaller bug fixes coming your way in this update, like improved Today widget & Add to Wunderlist support for all languages and improvements to Facebook sign in. Now on to the Mac edition. The first thing you’ll notice is how beautifully Wunderlist fits in with the overall design language in Yosemite, from the app’s translucent appearance to the icons in your Account Settings. Next up, Wunderlist’s brand new Today widget in the Notification Center (seen top of post) gives you an at-a-glance overview of your agenda and due/overdue to-dos. You can even tick little checkboxes to mark to-dos as completed or give an item a click to get all the details you need, all within the Notification Center. Provided iOS 8 is installed on your iPhone, iPod touch or iPad, Wunderlist will now enable you to seamlessly transition your Wunderlist workflow form one device to another. For example, if you start editing a Note on your Mac, you’ll now have the option to keep working on it when you pick up your iPhone or iPad, and vice versa. Just look for the Wunderlist icon on the Lock screen of your iOS device or in the Dock of your Mac. 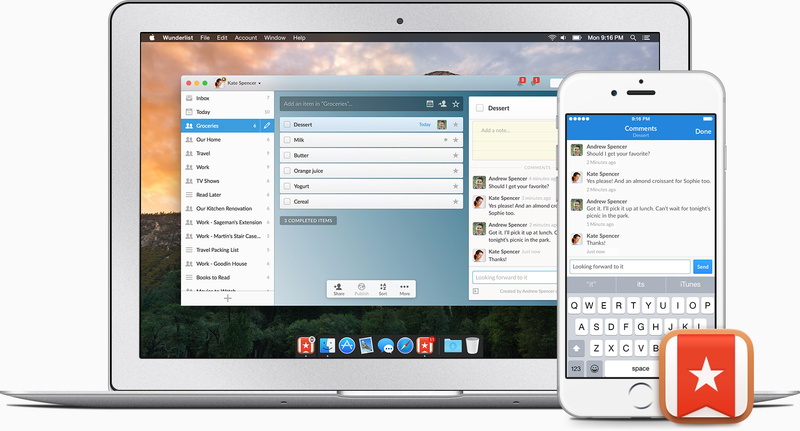 Handoff was previously available on Wunderlist for the iPhone and iPad and today’s update adds Handoff compatibility on Yosemite Macs. Not Handoff requires that both your Mac and iOS devices are signed into the same iCloud account. You will also need to enable Bluetooth on both ends. Pro tip: if Handoff starts acting up on the iOS end, just enable and then disable Airplane mode. You’re welcome. Another cool new feature: sharing to Wunderlist from virtually any app. Similar to the “Add to Wunderlist” feature available systemwide from the multipurpose Share sheet in iOS 8, you can now send anything to Wunderlist without leaving Safari, Chrome, Firefox or any other Mac app for that matter — as long as it supports native Share sheets. Whenever you feel like sending a piece of content from the app you’re in to Wunderlist, you can do so without switching to Wunderlist: simply hit the standard Share icon and choose “Add to Wunderlist” from the drop-down menu. 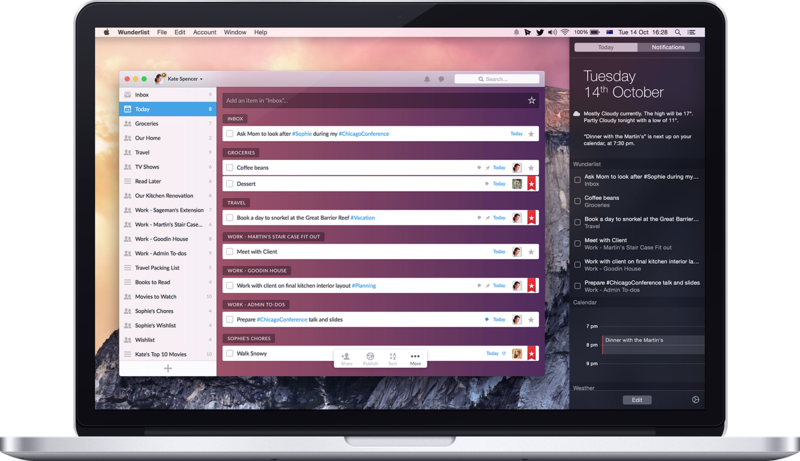 Wunderlist for Mac previously introduced beautiful desktop notifications that help keep everyone in the loop and stay on top of what’s happening in your lists. 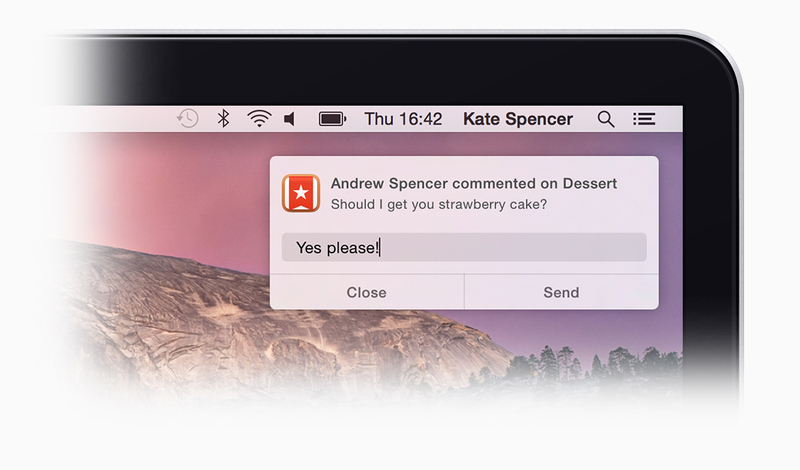 And now, you can respond to comments in these alerts without leaving the app you’re in, thanks to Interactive Notifications in Yosemite. I should also point out that Wunderlist’s recent iOS update enabled Dropbox integration so you can now assign, comment and prioritize all of your Dropbox files in Wunderlist on your iPhone, iPad or iPod touch. And if you use Google’s browser, you’re definitely going to love the Add to Wunderlist extension for Chrome and another one called Wunderlist New Tab which lets you quickly add new to-dos straight into your Wunderlist inbox. 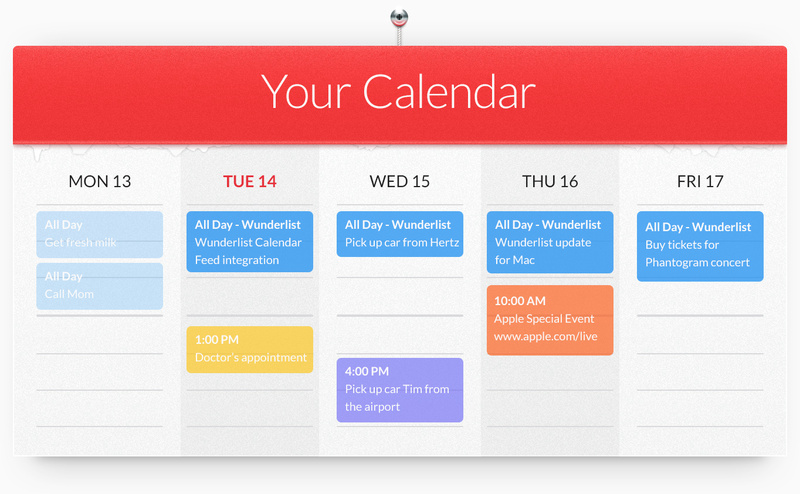 It’s even more awesome that Wunderlist now integrates with iCal, the platform-agnostic calendar data exchange standard. iCal makes it easy to sync lists in Wunderlist with other iCal-compatible apps such as Google Calendar, Outlook Calendar and more. Simply visit Wunderlist’s web app on your desktop and grab your unique Calendar Feed link from the bottom of your Account Settings. Use this URL to subscribe to Wunderlist’s Calendar feed in another app: on Google Calendar, click Other Calendars > Add by URL and on Outlook 2013, click the Start ribbon > Open Calendar > From the Internet. 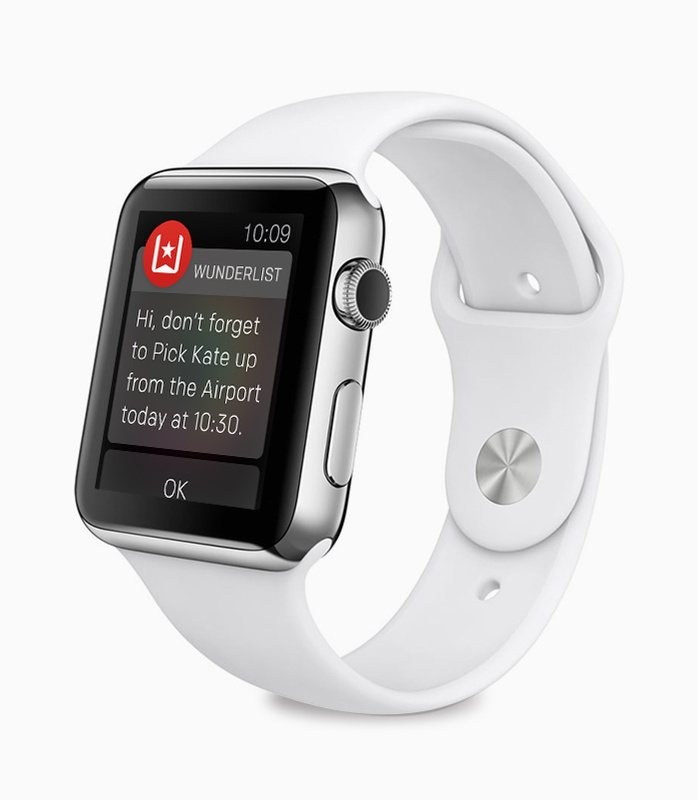 Last but not least, Wunderlist is coming to Apple Watch! 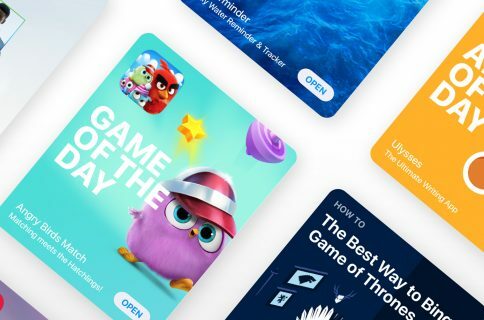 “We’ll be bringing a custom Wunderlist experience to one of the most innovative devices of the year,” developers confirmed last month. Note that the image above is an early mock-up which may or may not end up being an accurate representation of the final Apple Watch app. Wunderlist for OS X can be grabbed in the Mac App Store. The iPhone, iPod touch and iPad edition is available in the App Store. 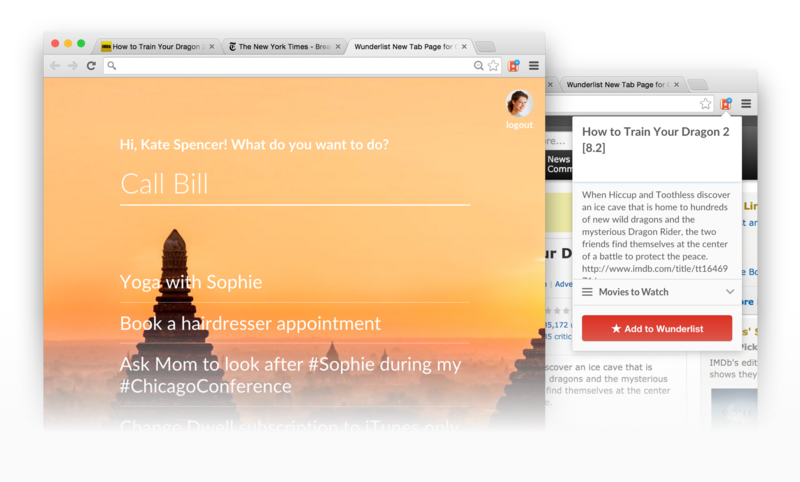 Oh, and do check out Wunderlist’s awesome web app!